April 9, 2019 — DES MOINES, Iowa — One block on the east side of Des Moines hasn’t been receiving mail for nearly a month, and it is all because the mail carrier feels threatened by a few dogs. “That one house can destroy the whole block more or less,” Daryl Bailey said. Bailey, a 40-year resident on the 2500 block of East Walnut Street in Des Moines, says he has never had a problem with his mail, until now. “Well, after about a week I couldn’t figure out why I wasn’t getting any mail, and that’s how they let me know,” Bailey said. 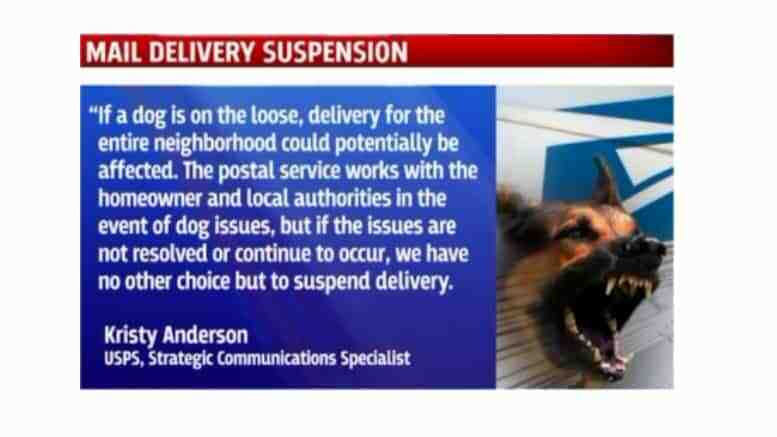 USPS told Bailey delivery to his block was suspended indefinitely because a mail carrier feels threatened by multiple dogs at a nearby residence. “I couldn’t tell you if they are vicious or if they are not vicious because I haven’t had any problem with them,” Bailey said.